"- Create your own highly unique wine bottle-shaped glass cutting board for the grape nut in your family with family names, monograms, or favorite photos! 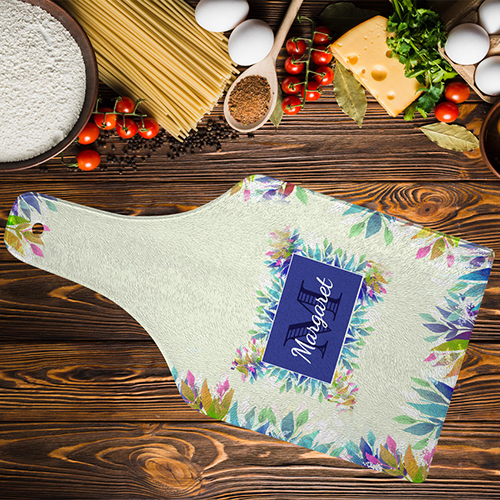 - Our tempered glass cutting board features a fun bottle shape and whorled glass surface texture that looks beautiful on any countertop - Easy to clean and stunning, this personalized cutting board also makes a perfect serving platter - and conversation starter! - Dishwasher safe, but handwash recommended for lasting vibrancy"